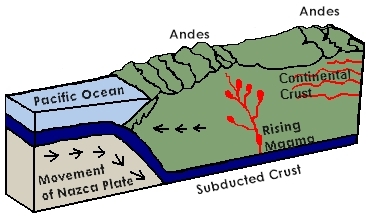 In South America, the culprit is the Nazca Plate, which borders the Pacific side of the continent, and which features a convergent boundary subduction zone and the South American Plate, which action has formed the Andes. Hardly a day passes by when I don’t hear of another earthquake in Peru (usually in the Richter 4.0-5.5 range); and hardly a month passes by without a new volcanic eruption. 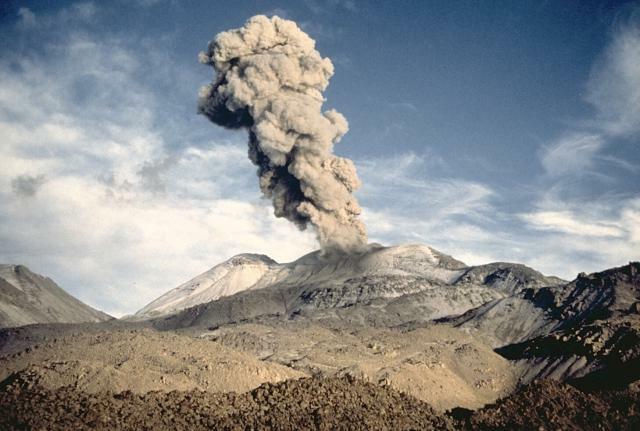 Today, it is reported that Sabancaya (see above) in the State of Arequipa has begun to spew ash. If it continues, I will probably be there to see it in person next month at this time. Last year, I visited Iceland, through which runs the boundary between the Eurasian Plate and the North American Plate, resulting in several dozen active volcanoes and frequent earthquakes. In fact, the boundary runs right through the middle of Thingvellir National Park, where it is expanding the size of Iceland (and the park) year by year. What is it with me and volcanoes? Is it because I live in multiply cross-faulted Southern California with its own history of earthquakes? Maybe in future I should visit Krakatoa and Mount Vesuvius?